With the large selection of Android Tablets and e-Reader's currently available today, it can be difficult to select one that suits your family's needs perfectly. The Pandigital NOVA Android media tablet & e-Reader offers a ton of features packed into a compact design, at a very budget friendly price point. 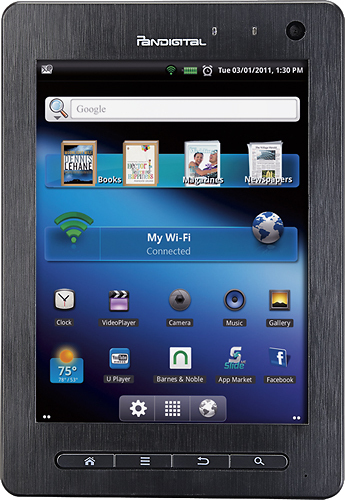 In addition to functioning as a wireless Android media tablet, the Pandigital NOVA also doubles as an e-reader! With access to the expansive library of titles currently available at Barnes and Noble you'll never be bored again. For my full review of the Pandigital NOVA Android Tablet and e-Reader check out the video below. 7" ActiveTouch screen offering 600 x 800 resolution for simple navigation and a clear view. Front- and rear-facing cameras for versatile image capture. Built-in microphone and speakers provide audio support. 4GB internal memory provides space for storing media. 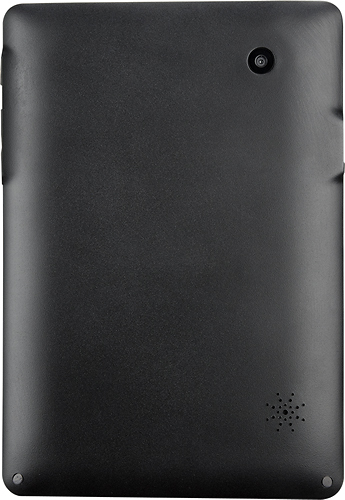 Built-in microSD media card slot for accessing eBooks and other digital content stored on microSD memory cards (not included). Mini USB 2.0 port for fast data transfer. Micro-HDMI output for connection to a compatible HDTV. 802.11b/g/n wireless LAN connect to the Internet without wires. Barnes & Noble bookstore software offers a large selection of titles to choose from, including multiple genres and subjects (requires Internet connection; additional fees may apply). Weighs 13.8 oz. and measures just 0.5" thin for easy portability. Rechargeable lithium-ion battery provides extended battery life. Help dad go wireless this Father's Day! The Pandigital NOVA 7" Android media tablet & e-Reader is the perfect user-friendly choice, at a price point that won't break the bank! 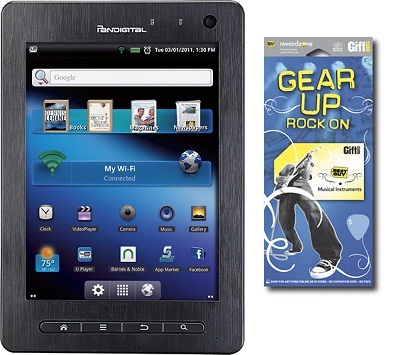 You can find the Pandigital NOVA 7" Android Media Tablet & e-Reader at retailer's nationwide. Ready to help Dad go wireless this Father's Day? 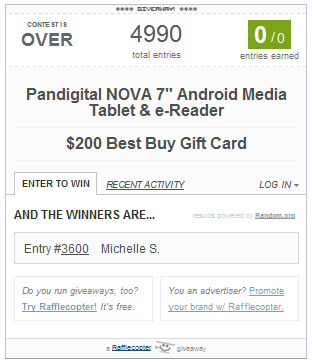 1 One Savvy Mom reader will receive a 7" Pandigital NOVA Android Media Tablet + a $200 Best Buy Gift Card!